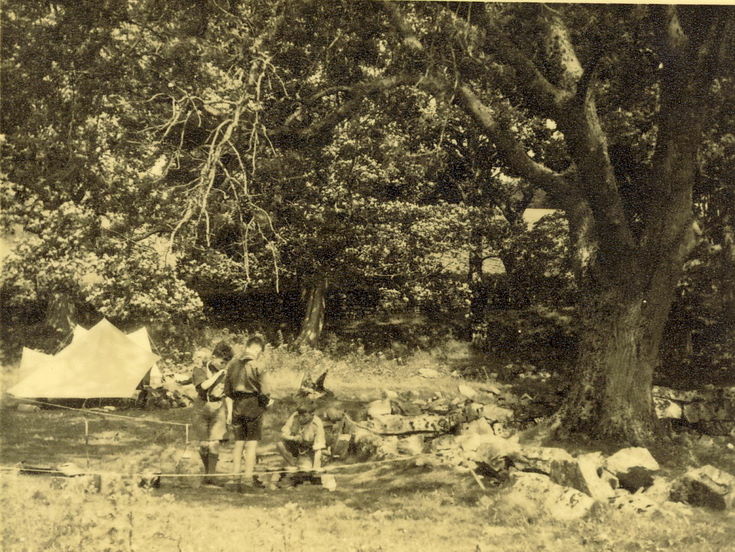 First monochrome photograph in a series of 19 of scout activities showing scouts camping in woodland. The style of the pyramid style tentin the background suggests this photograph may have been taken in the late 1950's early 1960's. This series of photographs was contained in an old Kodak envelope marked "Troop Leader H Leslie. One set of last camp for Troop Log. Remainder to be distributed democratically!! Sorry that there aren't more. Cheerio Baloo".